For hotel owners, there is no more crucial business strategy than leveraging the distribution landscape. Just as bookings and revenue have surged onto the digital playing field, data analytics will totally transform the guest/hospitality connect. Such issues as segment fragmentation, mis-filtered data, and unused market intelligence will very soon disappear. By way of a brief introduction, Turnbull is a respected expert in the field of hotel demand management, and the founder of Yeeld Solutions, a revenue management consultancy. Here’s what Turnbull had to say about the coming age of analytics based decision making for hotels. TravelDailyNews: In overseeing the company’s product, customer experience and education divisions, what is the greatest “point of pain” you’ve addressed for hoteliers since founding SnapShot? David Turnbull: SnapShot’s founding vision was to support hotels through education, coaching & technology, to make smarter “profit-based” decisions, by having access to the right information at the right time. Our unique but timely approach to data aggregation and visualizing the true costs of distribution and acquisition are the most important areas we have addressed to make lives easier for all commercial stakeholders in a hotel organization. 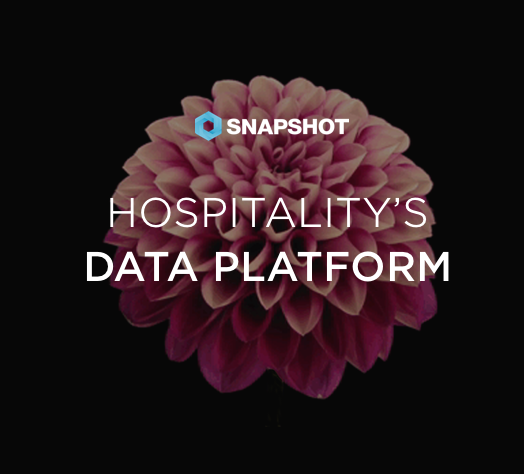 TDN: SnapShot has created one of the most unique and innovative tools to serve hoteliers commercial strategy. As you start to develop the next generation of SnapShot’s analytical tools, where are the main opportunities? David Turnbull: Our original demand application was designed to eliminate the excel nightmare and enable commercial managers to gain fast access to their data to generate and optimize their demand on a daily and rolling basis. The next evolution of the product allows a broader segment of hoteliers to quickly access and customize their performance intelligence, following a simple philosophy of “Data in Demand” wherever you are. TDN: Do you think SnapShot or other technology companies really can harness the huge data beast, and as your company’s motto suggests, make its usefulness “glanceable”? 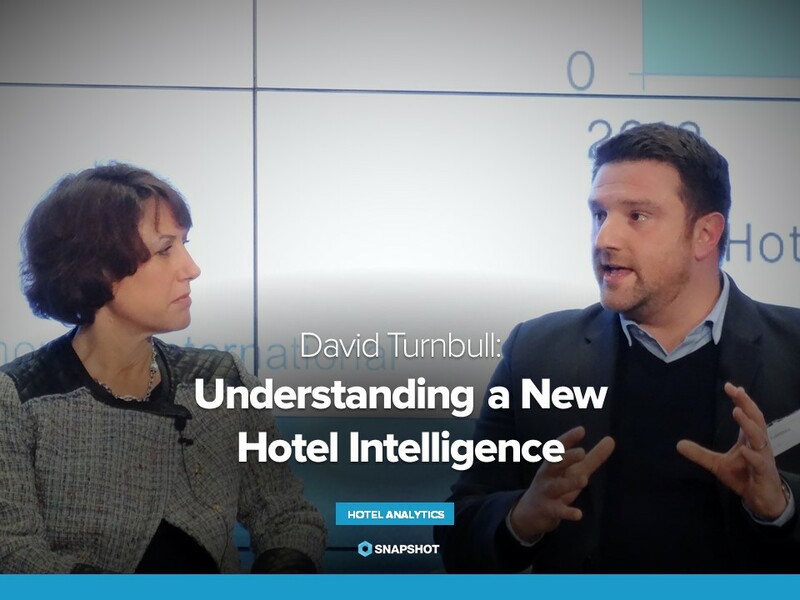 David Turnbull: The phrase “big data” continues to be thrown around by many hospitality companies without clear direction and advice to hoteliers about the internal changes they will need to make to their data to make this a reality. The opportunity lies for companies and many other new wave hospitality tech ventures to focus on making smaller subsets of data “smarter” and through ease of access and enhanced visualization, more useful. TDN: Is there a point where hotel staff will no longer be able to contend with the data, or where the technology is simply too complex for them to operate? David Turnbull: PMS, RMS, CRS, CRM, ORM, OTA…and, and, and. Since 5 years already, hoteliers have become saturated with performance metrics, market intelligence and their own user generated data. I don’t personally feel that the issue lies with the complexity of the technology or the UI, rather the manual ability to process the volume of data and find relevant causations or correlations. TDN: Given that more streamlined and agnostic tools are the overall trend in SaaS, based on both apps and web based platforms, where is the optimal intersection? Are we looking at two or more variations of data analytics tools in the future, or can a single platform be compartmentalized to fill the bill? David Turnbull: Different users work with different devices to conduct different actions but ultimately all need and reply one central data location. I foresee seismic changes in how hotel organisations treat the storage, ownership and control of their data and with that the opportunities for more open and collaborative development of applications and sharing of data. This however requires significant market level education, to eliminate the fear and promote the opportunities. TDN: Assuming a more powerful and streamlined analytics tool is the future direction how does this affect educating hoteliers? David Turnbull: B2B developers have a huge opportunity to learn from the simplex to complex approaches adopted by the B2C counterparts (were you ever trained on how to use Facebook?). The opportunity of any analytics tool, is to reveal not only what the user wants to know, but also what they didn’t expect. TDN: SnapShot belongs to a new breed of hotel technology company that source transactional rather than summarized data. What is the difference and wherein lies the opportunity? David Turnbull: We were motivated by the desire to offer hotels instant access to their historical pick-up and pace data, which can only be revealed if you retrieve the individual reservation transaction, rather than reply on the Property Management Systems internal, summarized, reporting. The advantage of this approach was that our Cost of Distribution module can assign all costs (fixed and variable) to the individual transactions, which significantly increases the accuracy of net contribution and profitability per channel. Starkov goes on to galvanize a new reality of distribution truth for the hotel industry. The HeBS CEO discusses the intersection of marketing & media channels with the new “hyper-interactive” travel consumer as, the “emergence of one single one single customer engagement channel.” Taking what Sarkov says in stride, it’s fairly simple to surmise Turnbull’s argument for a special type of tool mastery of data. In a booking world ruled by the Web, SEM, SEO, email, social media, and the mobile Web, ever hotelier is going to have to have the right tools to do the old job of running a hotel.